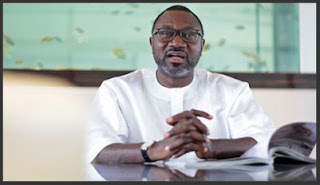 Nigerian billionaire and oil magnate, Femi Otedola has joined Instagram, after many years off social media and refusing to use smart phones. Femi Otedola who already has 5000+ followers, shared his first post moments ago with the caption, 'to wad away fake accounts, I have started my own genuine Instagram'. F.Ote$.